The South Africa women's national cricket team, nicknamed the Proteas, represents South Africa in international women's cricket. One of eight teams competing in the ICC Women's Championship (the highest level of the sport), the team is organised by Cricket South Africa (CSA), a full member of the International Cricket Council (ICC). The ICC Women's Championship is an international cricket tournament used to determine qualification for the Women's Cricket World Cup. The first edition was the 2014–16 ICC Women's Championship, which started in April 2014 and was concluded in November 2016. Australia were the winners of the inaugural tournament. The second edition of the tournament started in October 2017, with the top four teams automatically qualifying for the 2021 Women's Cricket World Cup. South Africa made its Test debut in 1960, against England, becoming the fourth team to play at that level (after Australia, England, and New Zealand). Because of the sporting boycott of South Africa and other factors, the team did not play any international fixtures between 1972 and 1997. South Africa returned to international competition in August 1997, in a One Day International (ODI) match against Ireland, and later in the year participated in the 1997 World Cup in India. The team has participated in every edition of the World Cup since then, and made the tournament semi-finals in 2000 and 2017. South Africa has likewise participated in every edition of the Women's World Twenty20, and made the semi-finals of the 2014 edition, played in Bangladesh. The England women's cricket team represents England in international women's cricket. The team is administrated by England and Wales Cricket Board (ECB); they played their first Tests in 1934–35, when they beat Australia 2–0 in a three-Test series. Their current captain is Heather Knight, and their current coach is Mark Robinson. There is also an England Women's Academy team, consisting of players just below the full England squad. The South African College was an educational institution in Cape Town, South Africa, which developed into the University of Cape Town (UCT) and the South African College Schools (SACS). 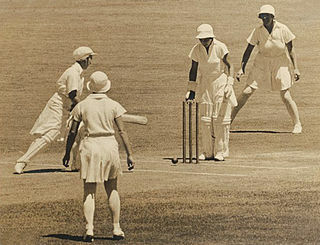 The Women's Cricket Association (WCA) was responsible for the running of women's cricket in England between 1926 and 1998. It was formed by a group of enthusiasts following a cricket holiday in Malvern. Forty-nine games were arranged in that first season, and the popular cricket festival at Stowe Lane, Colwall, which is still held today, was launched. Netta Rheinberg MBE played for the English women's cricket team in a single Test, but was a notable figure in the women's game as an administrator and journalist. Rachael Heyhoe-Flint, the former England captain, said of her work as an administrator, "Netta was an action girl. We had very few people then, and she galvanised activity, partly just by having a great personality and a sense of humour." Racial segregation is the separation of people into racial or other ethnic groups in daily life. It may apply to activities such as eating in a restaurant, drinking from a water fountain, using a public toilet, attending school, going to the movies, riding on a bus, or in the rental or purchase of a home or of hotel rooms. Segregation is defined by the European Commission against Racism and Intolerance as "the act by which a person separates other persons on the basis of one of the enumerated grounds without an objective and reasonable justification, in conformity with the proposed definition of discrimination. As a result, the voluntary act of separating oneself from other people on the basis of one of the enumerated grounds does not constitute segregation". According to the UN Forum on Minority Issues, "The creation and development of classes and schools providing education in minority languages should not be considered impermissible segregation, if the assignment to such classes and schools is of a voluntary nature". Basil Lewis D'Oliveira CBE OIS was an England international cricketer of South African Cape Coloured background, whose potential selection by England for the scheduled 1968–69 tour of apartheid-era South Africa caused the D'Oliveira affair. Nicknamed "Dolly", D'Oliveira played county cricket for Worcestershire from 1964 to 1980, and appeared for England in 44 Test matches and four One Day Internationals between 1966 and 1972. South Africa were again on tour in 2000, returning once more to England, this time contesting a five-match ODI series. Two warm-up matches against England women 'A' resulted in a narrow victory followed by a tie, not an auspicious start. However, unlike their previous two ODI series, South Africa managed to win two matches, winning both the third and the fifth ODIs. Despite these victories England won the series 3–2, subjecting South Africa to their fourth straight series defeat. Pakistan toured South Africa in 2007, a series that South Africa won 4–0, with no result. They then toured England and Netherlands. They won all their matches in the 2008 Women's Cricket World Cup Qualifier, beating Pakistan by 8 wickets in the final, and securing their place in the 2009 Women's Cricket World Cup. The ICC Women's Rankings incorporates results from Tests, ODIs and T20Is into a single ranking system. For more details, see List of South Africa women cricket series. For a list of Test players, see List of South Africa women Test cricketers. For a list of ODI players, see List of South Africa women ODI cricketers. For a list of Twenty20 International players, see List of South Africa women Twenty20 International cricketers. For record by opponent, see South Africa women's national cricket team record by opponent. The South African national cricket team, nicknamed the Proteas, is administered by Cricket South Africa. 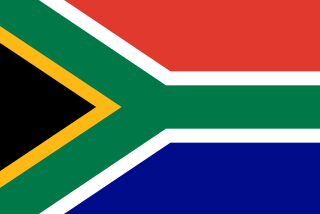 South Africa is a full member of the International Cricket Council (ICC) with Test, One Day International (ODI) and Twenty20 International (T20I) status. The Pakistan Men's National Cricket Team, popularly referred to as the Shaheens, Green Shirts and Men in Green, is administered by the Pakistan Cricket Board (PCB). The team is a Full Member of the International Cricket Council, and participates in Test, ODI and Twenty20 International cricket matches. The Scotland national cricket team represents the country of Scotland. They play their home matches at The Grange, Edinburgh, and also some other venues. The Ireland cricket team represents all of Ireland. They participate in Test, One Day International and Twenty20 International matches. They are the 11th Full Member of the International Cricket Council (ICC), having been awarded Test status, along with Afghanistan, on 22 June 2017. Charlotte Marie "Lottie" Edwards CBE is an English former professional cricketer who was captain of the England women's team. Edwards announced her retirement from international cricket in May 2016 and from all cricket in September 2017. Samantha Claire Taylor is a former cricketer who represented England more than 150 times between 1998 and 2011. A top order batsman, Taylor was the first woman to be named a Wisden Cricketer of the Year. Along with Charlotte Edwards, she was the mainstay of England's batting during the first decade of the 21st century, and played a key role in the team's two world titles in 2009. The Netherlands women's national cricket team, nicknamed the Lionesses, represents the Netherlands in international women's cricket. The team is organised by the Koninklijke Nederlandse Cricket Bond (KNCB), which has been an associate member of the International Cricket Council (ICC) since 1966. The following is a list of important cricket related events which occurred in the year 2007. Saeed Ajmal is a former Pakistani cricketer. who played all forms of the game. Regarded as one of the best spinners in the world, Ajmal held No. 1 bowling rankings in Test as well. He is a right-arm off-spin bowler who bats right handed. Glenn James Maxwell is an Australian international cricketer, who currently plays ODI and Twenty20 cricket for Australia. He has also played Test cricket for Australia. He represents Victoria Bushrangers and Melbourne Stars in domestic cricket. The 2016–2017 international cricket season was from September 2016 to April 2017. During this period, 41 Test matches, 87 One Day Internationals (ODIs), 43 Twenty20 Internationals (T20Is), 4 first class matches, 16 List A matches, 41 Women's One Day Internationals (WODIs), and 15 Women's Twenty20 Internationals (WT20Is) were played. Of the 41 Test matches that took place in this season, 3 were day/night Test matches. The season started with Pakistan leading the Test cricket rankings, Australia leading the ODI rankings, New Zealand leading the Twenty20 rankings, and Australia women leading the Women's rankings. ↑ "Women's Test matches - Team records". ESPNcricinfo. ↑ "WODI matches - Team records". ESPNcricinfo. ↑ "WODI matches - 2018 Team records". ESPNcricinfo. ↑ "WT20I matches - Team records". ESPNcricinfo. ↑ "WT20I matches - 2018 Team records". ESPNcricinfo. 1 2 3 4 5 "The History of the SA & Rhodesian Women's Cricket Association". St George's Park History. Retrieved 2009-11-17. ↑ Heyhoe Flint (1976), p. 102. ↑ "South African and English Women Cricketers Communicate". St George's Park History. Retrieved 2009-11-17. ↑ Heyhoe Flint (1976), p. 103. ↑ "England Women in South Africa 1960/61". CricketArchive. 12 November 1960. Archived from the original on 21 August 2008. Retrieved 3 April 2010. ↑ "England Tours South Africa – 1960". St George's Park History. Retrieved 2009-11-17. ↑ "1st Test: South Africa Women v England Women". ESPNcricinfo . Retrieved 2009-11-17. ↑ "England Women tour of South Africa 1960/61 / Results". ESPNcricinfo. Retrieved 2010-04-03. ↑ "Statistics / Statsguru / Women's Test matches / Team records". ESPNcricinfo. Retrieved 2010-04-03. ↑ Minty, Abdul (April 1971). "International Boycott of Apartheid Sport". 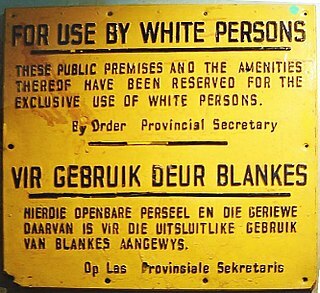 United Nations Unit on Apartheid. 1 2 Williamson, Martin (13 September 2008). "The D'Oliveira Affair". ESPNcricinfo. Retrieved 2010-04-05. ↑ Williamson, Martin (26 August 2006). "Cricket in crisis". ESPNcricinfo. Retrieved 2010-04-05. ↑ "New Zealand Women in Australia and South Africa 1971/72". CricketArchive. Archived from the original on 5 June 2011. Retrieved 5 April 2010. ↑ "New Zealand Women tour of South Africa 1971/72 / Results". ESPNcricinfo. Retrieved 2010-04-06. 1 2 3 Murray, Bruce K (1 May 2002). "The Sports Boycott and Cricket: The Cancellation of the 1970 South African Tour of England" (PDF). South African Historical Journal. 46 (1): 219–249. doi:10.1080/02582470208671425. Archived from the original (PDF) on 18 July 2011. Retrieved 5 April 2010. ↑ Williams (2001), p. 85. ↑ Booth (1998), p. 99. ↑ Williams (2001), p. 87. ↑ "Gleneagles Agreement – 1981 Springbok tour". New Zealand Ministry for Culture and Heritage. 24 February 2009. Retrieved 2010-04-06. ↑ May (2009), pp. 71–108. ↑ Siddhartha Vaidyanathan (2 August 2007). "The unforgiven". ESPNcricinfo. Retrieved 2010-04-06. ↑ "Rebels – the '85 South Africa tour". The Age . 10 December 2005. Retrieved 2010-04-06. ↑ Williamson, Martin (13 February 2010). "Rebels without a cause". ESPNcricinfo. Retrieved 2010-04-06. 1 2 3 McConnell, Lynn (18 December 2000). "South Africa looking to boost for women's game in 2005". ESPNcricinfo. Retrieved 2010-04-08. ↑ "About CSA". Cricket South Africa. Archived from the original on 21 November 2010. Retrieved 17 November 2011. ↑ "India vs South Africa, First ODI – Calcutta, Nov 10, 1991". ESPNcricinfo. 12 July 1994. Retrieved 2010-04-06. ↑ Harris, Cathy (15 August 1997). "Women's Cricket: S Africans to test England hopefuls". ESPNcricinfo. Retrieved 2010-04-06. ↑ "Statistics / Statsguru / Women's One-Day Internationals / Team records". ESPNcricinfo. Retrieved 2010-04-08. ↑ "South Africa Women tour of Ireland 1997 / Results". ESPNcricinfo. Retrieved 2010-04-08. ↑ "England Under-23s Women v South Africa Women". CricketArchive. 12 August 1997. Retrieved 2010-04-08. ↑ "South Africa Women in England Women's ODI Series 1997 / Results". ESPNcricinfo. Retrieved 2010-04-08. ↑ "ICC Women's World Cup 2009 – Event History". International Cricket Council. Archived from the original on 13 March 2009. Retrieved 8 April 2010. ↑ "India Women v South Africa Women". CricketArchive. 22 December 1997. Retrieved 2010-04-08. ↑ "South Africa Women in Australia Women's ODI Series 1998/99 / Results". ESPNcricinfo . Retrieved 2010-04-09. ↑ "South Africa Women in New Zealand Women's ODI Series 1998/99 / Results". ESPNcricinfo . Retrieved 2010-04-09. 1 2 "CricInfo Women's World Cup 2000/01 Table". CricketArchive. Retrieved 2010-04-09. ↑ "England Women v South Africa Women". CricketArchive. 2 December 2000. Retrieved 2010-04-09. ↑ "Australia Women v South Africa Women". CricketArchive. 18 December 2000. Retrieved 2010-04-09. ↑ "India Women tour of South Africa 2001/02 / Results". ESPNcricinfo. Retrieved 2010-04-09. ↑ ESPNcricinfo staff (3 April 2005). "South Africa and West Indies to contest one-day series". ESPNcricinfo. Retrieved 2010-04-08. 1 2 "About Us". ESPNcricinfo. Retrieved 2010-04-10. ↑ "Protea Women". CSA . Retrieved 21 November 2016. ↑ "Statistics / Statsguru / Women's Test matches / All-round records". ESPNcricinfo. Retrieved 21 November 2016. ↑ "Statistics / Statsguru / Women's One-Day Internationals / All-round records". ESPNcricinfo. Retrieved 21 November 2016. ↑ "Statistics / Statsguru / Women's Twenty20 Internationals / All-round records". ESPNcricinfo. Retrieved 21 November 2016. ↑ "Mignon du Preez steps down as Proteas women's captain / Women's contracts for 2016/2017 season announced". CSA . 21 June 2016. ↑ "Records / South Africa Women / Women's Test matches / Result summary". ESPNcricinfo. Retrieved 2011-08-31. ↑ Bull, Andy (25 January 2011). "Charlotte Edwards: the best captain in England?". The Guardian . London: Guardian Media Group . Retrieved 2011-08-31. ↑ "Tests Highest totals". Cricinfo. Retrieved 26 March 2015. ↑ "Tests Result summary". Cricinfo. Retrieved 26 March 2015. ↑ "Tests Most matches". Cricinfo. Retrieved 26 March 2015. ↑ "Tests Most runs". Cricinfo. Retrieved 26 March 2015. ↑ "Tests High scores". Cricinfo. Retrieved 26 March 2015. ↑ "Tests Most wickets". Cricinfo. Retrieved 26 March 2015. ↑ "Tests Best bowling figures in an innings". Cricinfo. Retrieved 26 March 2015. ↑ "ODI Highest totals". Cricinfo. Retrieved 11 May 2017. ↑ "ODI Result summary". Cricinfo. Retrieved 18 December 2016. ↑ "ODI Most matches". Cricinfo. Retrieved 18 December 2016. ↑ "ODI Most runs". Cricinfo. Retrieved 18 December 2016. ↑ "ODI High scores". Cricinfo. Retrieved 18 December 2016. ↑ "ODI Most wickets". Cricinfo. Retrieved 18 December 2016. ↑ "ODI Best bowling figures in an innings". Cricinfo. Retrieved 18 December 2016. ↑ "T20I Highest totals". Cricinfo. Retrieved 26 March 2015. ↑ "T20I Result summary". Cricinfo. Retrieved 26 March 2015. ↑ "T20I Most matches". Cricinfo. Retrieved 26 March 2015. ↑ "T20I Most runs". Cricinfo. Retrieved 26 March 2015. ↑ "T20I High scores". Cricinfo. Retrieved 26 March 2015. ↑ "T20I Most wickets". Cricinfo. Retrieved 26 March 2015. ↑ "T20I Best bowling figures in an innings". Cricinfo. Retrieved 26 March 2015. Booth, Douglas (1998). The Race Game: Sport and Politics in South Africa. Routledge. ISBN 0-7146-4799-3. Heyhoe Flint, Rachael; Rheinberg, Netta (1976). Fair Play. London: Angus and Robertson. ISBN 0-207-95698-7. May, Peter (2009). The Rebel Tours: Cricket's Crisis of Conscience. Sportsbooks. p. 320. ISBN 978-1-899807-80-2. Odendaal, André (2003). The Story of an African Game: Black Cricketers and the Unmasking of One of South Africa's Greatest Myths. David Philip, Publishers. p. 367. ISBN 978-0-86486-638-7 . Retrieved 2010-04-05. Williams, Jack (2001). Cricket and Race. Oxford: Berg. p. 224. ISBN 978-1-85973-309-7 . Retrieved 2010-04-05.